Hollywood and NYC came together last night to celebrate Oscar-winning director, Alfonso Cuarón, at the Museum of Modern Art's Film Benefit Gala. With his best friend, fellow filmmaker Guillermo del Toro, and son, Jonás Cuarón, by his side, Cuarón joined guests including Poppy Delevingne, Joan Smalls, and Katie Holmes in helping to raise $1.1 million dollars for the museum's film department. 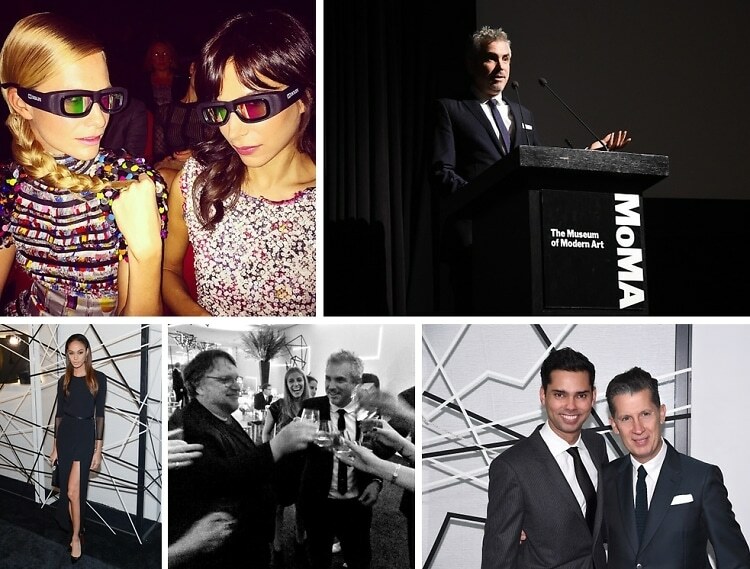 Click through for an inside look at the star-studded event! Who was there: Guests included Alfonso Cuaron, Guillermo del Toro, Jonas Cuaron, Joan Smalls, Katie Holmes, Michael Bloomberg, Poppy Delevingne, Derek Blasberg, Diane von Furstenberg, Bee Shaffer, Asia Chow, Cary Fukunaga, Rajendra Roy, Stefano Tonchi, Leelee Sobieski, Emile Hirsch, and Kim Raver.